Isiah Factor | The Insite » KATHY GRIFFIN TOWNSEND CELEBRATES HER BIRTHDAY AT RED CAT JAZZ CAFE’ TONIGHT! KATHY GRIFFIN TOWNSEND CELEBRATES HER BIRTHDAY AT RED CAT JAZZ CAFE’ TONIGHT! 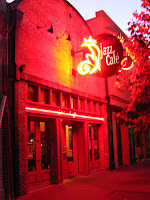 March 13, 2010 | Posted in Uncategorized | Comments Off on KATHY GRIFFIN TOWNSEND CELEBRATES HER BIRTHDAY AT RED CAT JAZZ CAFE’ TONIGHT! 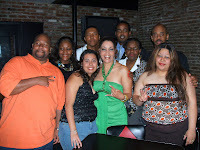 PICTURES FROM HER LAST BIG BASH AT THE JAZZ SPOT! 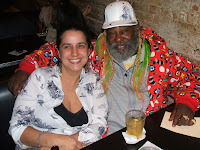 Kathy Griffin (green dress) Townsend has a big party at the Red Cat Jazz Cafe downtown Houston today – Saturday at 7pm – I hear George Clinton (he was there last year) and Sly from Sly and the Family Stone will be there – see you there if you decide to go – It’s a Family Affair!